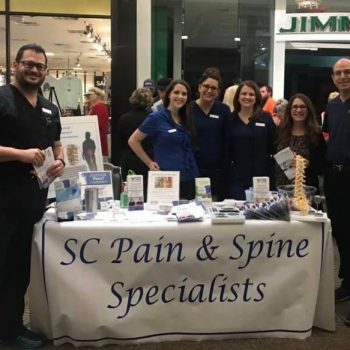 SC Pain & Spine Specialists is pleased to welcome Andrew B. Collins, APRN, to the practice! Andrew is a native of the Carolinas. He received his Bachelor of Science degree in Chemistry from the University of North Carolina-Pembroke in 2006. He previously earned a Bachelor of Science degree in Criminal Justice from the same institution in 1994. 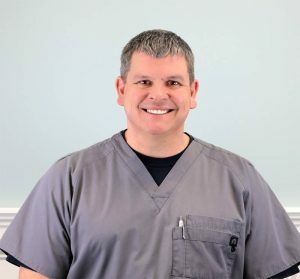 He graduated from Florence Darlington Technical College with an Associate Degree in Nursing in 2011 and received his Master of Science degree in Nursing from Walden University in 2016. Andrew is a Nurse Practitioner, board certified in Adult Gerontology and Primary Care by the American Nurses Credentialing Center. He has extensive experience treating patients with acute and chronic health issues. Andrew proudly served in the United States Army Reserves. He enjoys spending time hunting and fishing. He currently resides in Murrells Inlet with his wife and daughter. We are excited to have him on board!